Known as the “cradle of heroes and nationalists,” Batangas was also among the first Philippine provinces to revolt against Spain. On August 30, 1896, it was one of the first provinces placed under Martial Law by Governor General Ramon Blanco. The Batangueños’ role in the county’s emancipation and nationhood is undeniable. Apolinario Mabini, known as the “Brains of the Revolution”; General Miguel Malvar, the last Filipino general to surrender to the Americans as well as Marcela Agoncillo, who made the Philippine flag raised by Emilio Aguinaldo on June 12, 1898, all hail from Batangas. A strong feeling of patriotism is evident among Batangas City leaders. Proof of this is reflected in the street names, streets perpendicular to the church were named after revolutionary clergy while streets parallel to the church were named after revolutionary leaders. For more info, visit www.batangascity.gov.ph. One of the oldest Catholic churches in the province, the Basilica de la Immaculada Concepcion was built in 1581 by Father Diego Mojica, an Augustinian Pastor of Calapan, Mindoro. Has been the home of Don Felipe Borbon’s family since the 1870’s inherited by Don Pablo Borbon husband of Rufina Mayo then to daughter Remedios who was married to Dr. Godofredo Rosales. Located along P. Panganiban St., it is also the ancestral home of Gaudencio Cardinal Rosales, the former archbishop of Manila. A turn of the century residence formerly owned by Don Alejo Acosta, Capitan del Barrio of Batangas in 1883. Today, it is owned by the children of Concha Acosta and husband Dr. Juan Pastor, headed by Atty. Antonio Acosta Pastor. 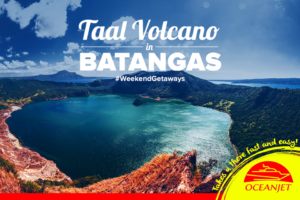 Looking to visit Batangas soon?